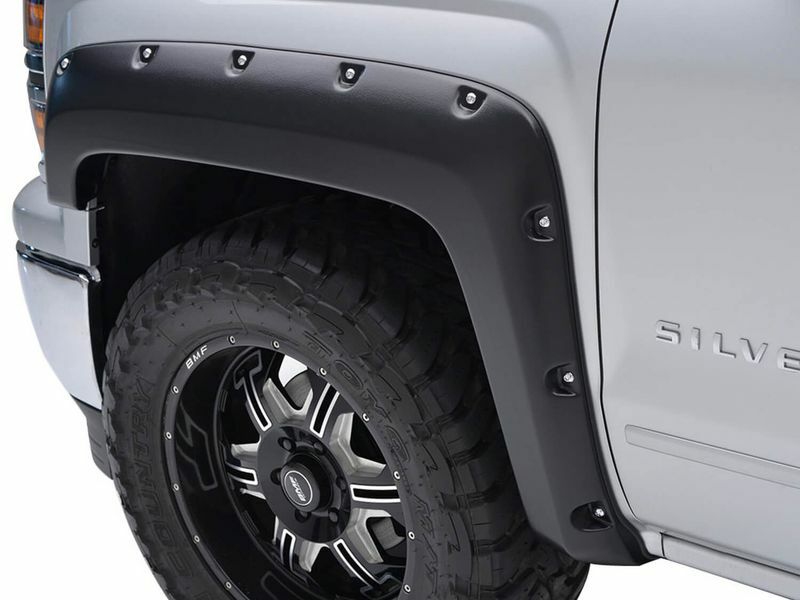 Paramount Riveted Fender Flares are just what your truck needs to add endless protection and style. Honestly, your truck will have never looked better as these bolt-on style flares add head turning appeal. Not only will people be drooling over your trucks style, but the protection your truck gets from adding fender flares is unsurpassed. Showing off a stylish riveted design and then coated in a textured satin black finish, each flare is crafted out of the highest quality materials. Constructed from durable co-extruded Proguard material, these rivet style flares are 100% UV resistant. Your flares can also be paint matched to your exact vehicle color. Quickly install the Paramount Riveted Fender Flares in under an hour. Each set of flares comes with all installation hardware. Backed by a one year warranty, you need these flares in your life! Get yours today. Easily install the Riveted flares in no time at all. Simply follow the easy to read instructions and have your new flares on within an hour!